Denial suggests a new rule for exposition. 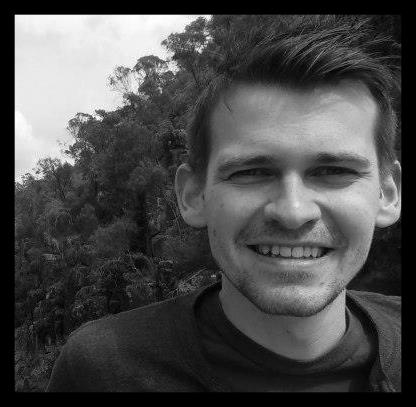 According to director Mick Jackson, it is acceptable if it happens within a cafe. The fault is with David Hare's on-the-nose script of course, but Jackson does little to correct it and in fact rather embraces it on at least two occasions. It's not just the 'this is what is going to happen next'-style of exposition, it's the full on 'this is what has happened in the film so far and now this is what we're going to do next and why'. The lack of refinement is a real shame for such a weighty subject. Historian Deborah Lipstadt (Rachel Weisz) discovers she is being sued for libel for confronting holocaust denier David Irving (Timothy Spall). 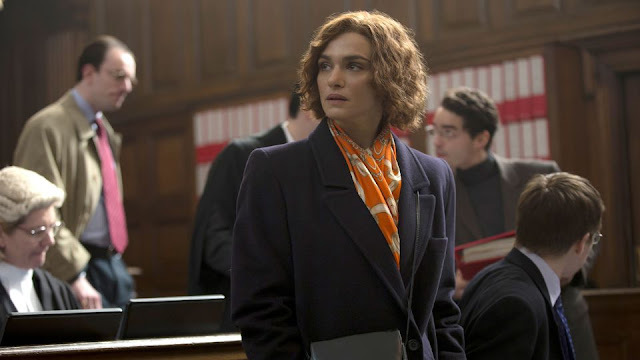 Forced to defend herself or admit he is right, Lipstadt hires star solicitor Anthony Julius (Andrew Scott) and barrister Richard Rampton (Tom Wilkinson) for a trial that will inevitably see the validity of history put to the test. With a cast like that it's unsurprising to find that the performances are the reason to turn up here. Disgusted with Irving, Rampton refuses to look at him during questioning in court. It's a difficult trick, for Wilkinson to perform without eye contact, but it is effective. The real Deborah Lipstadt has been appearing to promote Denial and Weisz's performance is a brilliant cross between impression and mannered style. The real revelation is Scott. Whilst his Moriarty in TV's Sherlock is an occasionally irritating extrovert, here Julius is played as a clever, repressed introvert. The scenes of him fussily directing his team or arguing with Lipstadt in a very individual way show a real transformation from how we've seen Scott previously. The fact that half of the film is taken up with those one-on-one arguments though is the major misstep here. Clearly, Denial recognises that the case was about more than Irving vs Lipstadt. But having made that recognition, Hare's script returns again and again to Lipstadt's discomfort at being sidelined. She discusses it with Julius, with Rampton and then with Julius again, before what you suspect is intended to be a pivotal scene where she finally gives Rampton control. The thing is: we don't care. We understand that what's going on here is a discussion and a trial more important than Julius or Rampton or Lipstadt. This isn't a biopic. This is history in action and on trial. The filmmakers clearly understand that too, so it's something of an anomaly that their film then doesn't recognise that feeling. Do what I infer, not what I show you over 110-odd minutes. The performances and the court scenes are enough to recommend it but, really, there's some surprisingly amateurish filmmaking at work here.